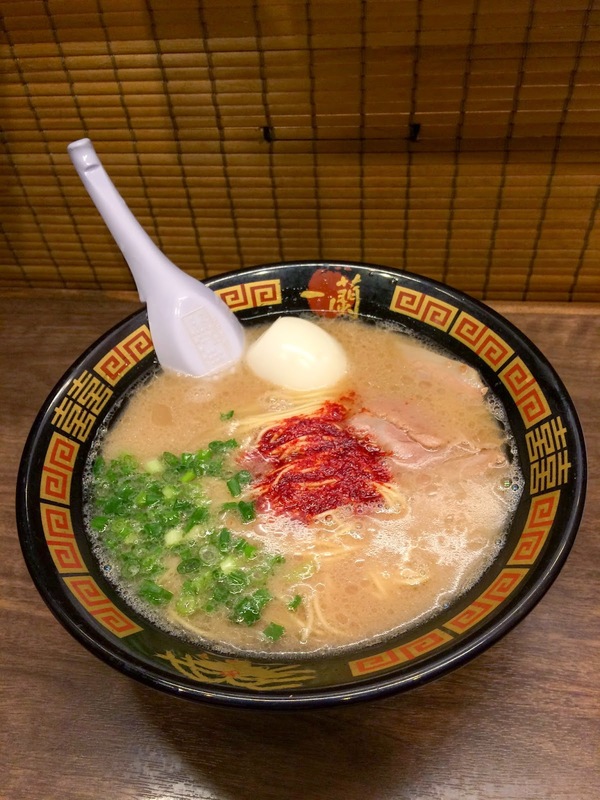 Ichiran Ramen is a chain of restaurants famous for its tonkatsu ramen and secret red sauce. For me, it’s one of the best ramen I’ve had. There are several branches in Japan as well as in one in Hong Kong. 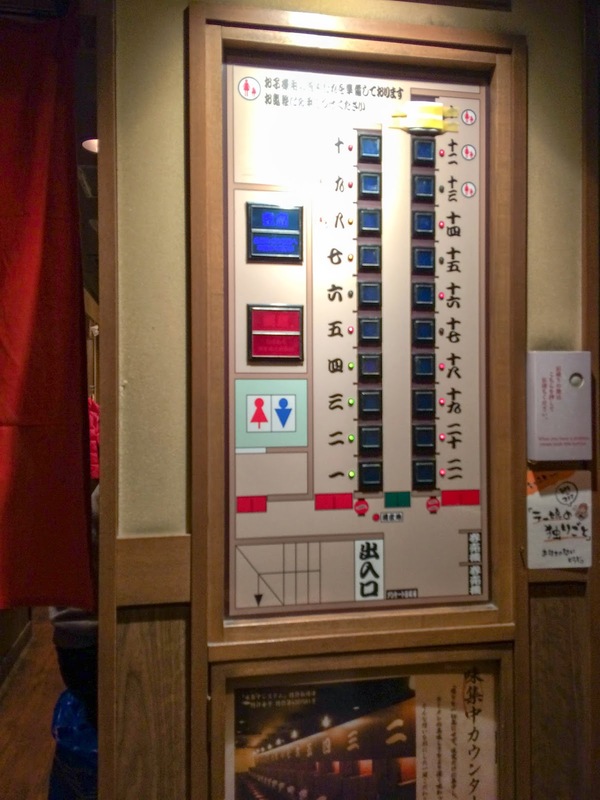 Once it’s your turn to enter the restaurant, you’ll be greeted by the sight of a ticket machine. Put your Yen into the machine and select which ramen you want. The machine will spit out your tickets, which you will exchange later at your seats. 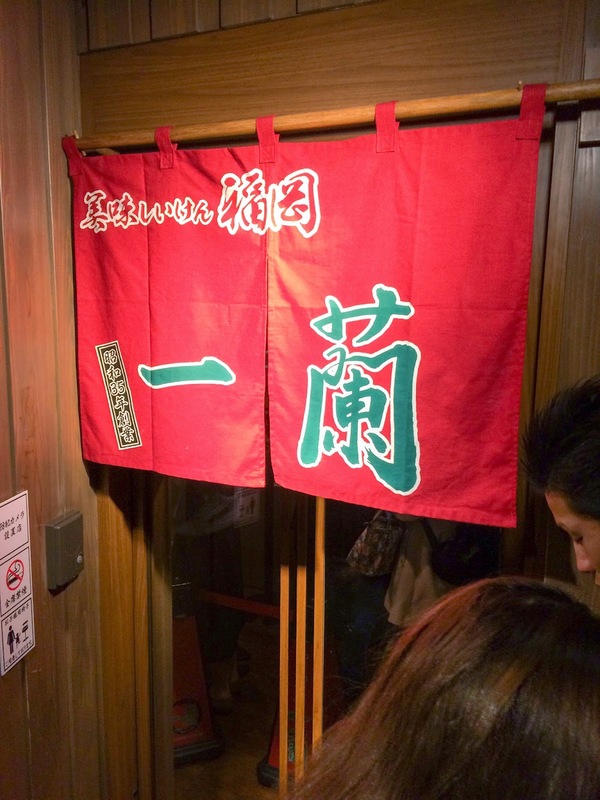 At Ichiran Ramen, you won’t find your typical restaurant seats. Instead, everyone has their own little partitioned cubicle. There’s even a chart that shows you which seats are being occupied and which are available. 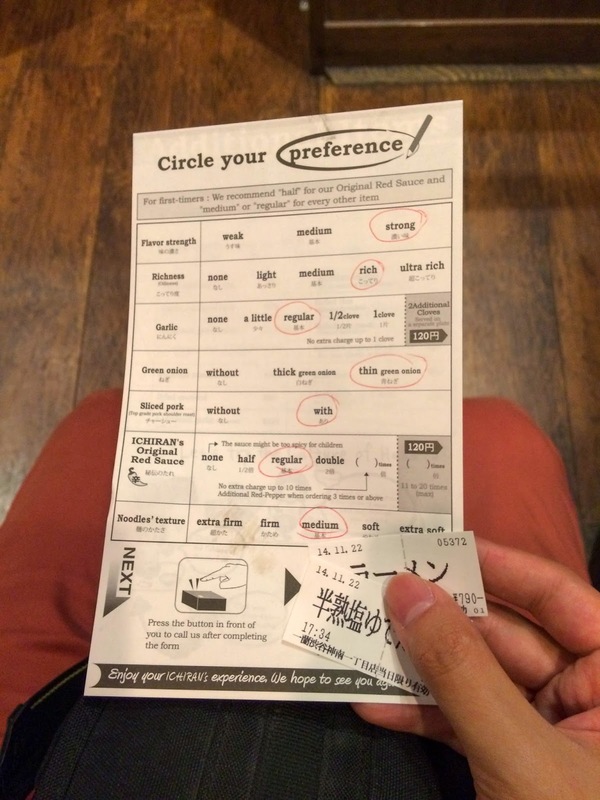 While you’re waiting, make sure you fill out the preference form for your ramen. You can customise the strength of the soup, amount of ingredients you want and the texture of your noodles. Now that you’ve sat down at your allocated seat. Press the red button in front of you and place your tickets on top of it. A waiter will take your tickets from the other side and pull down the blinds. There’s a tap for free water if you’re thirsty. 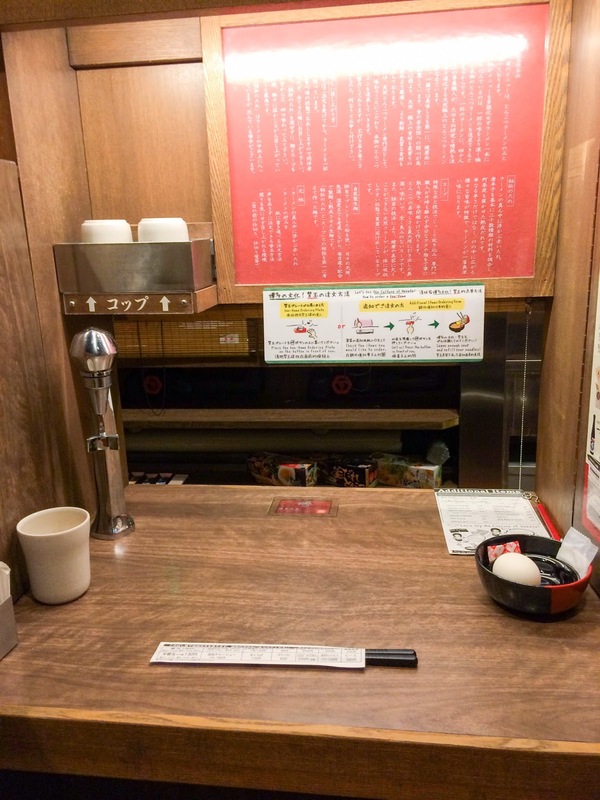 After a short wait, the blinds will rise, the waiter or waitress bows and your ramen is placed on your table. The tonkatsu broth is rich but not heavy. The red sauce adds a slight kick to the dish. The home made ramen noodles were shiko, shiko and tsuru, tsuru! Which roughly translated into English mean chewy and smooth. The slices of pork were tender and cooked just right. Chow Tips: Make sure you slurp your ramen! In other societies, slurping your food is frowned upon. But in Japan, it’s not only polite. It’s the proper way to enjoy ramen. 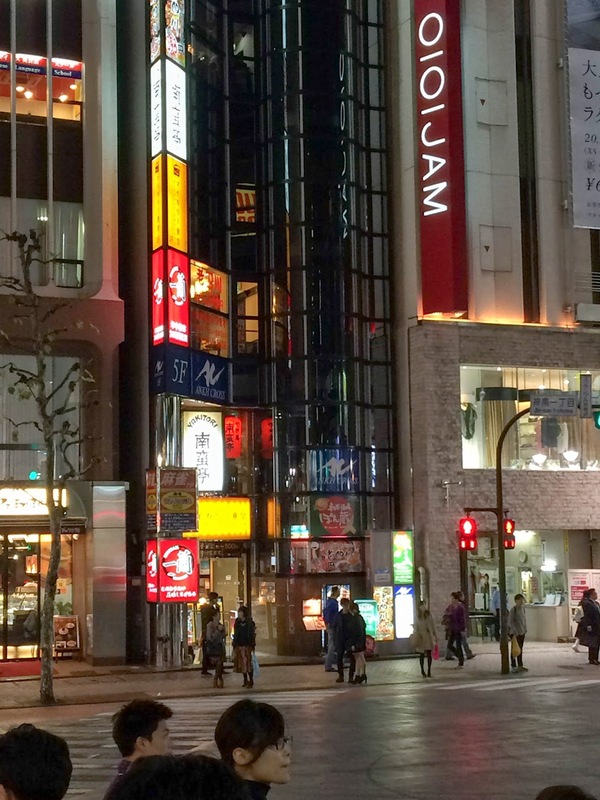 Finding the Shibuya branch of Ichiran isn’t hard but still will require some navigation. 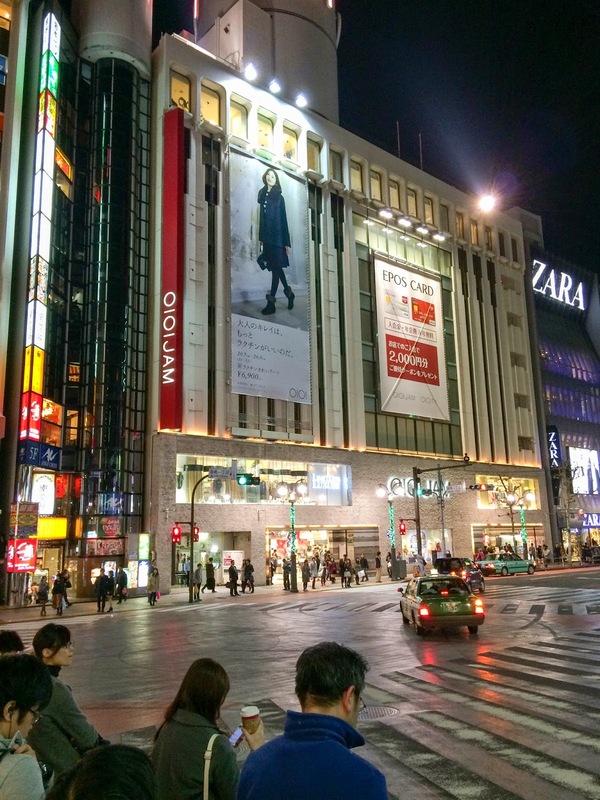 From the station, head to the Zara store and continuing walking past OIOIJAM department store. And then you will see the bright red light – a shining beacon calling out to you. Go down the stairs and you have arrived at ramen heaven. 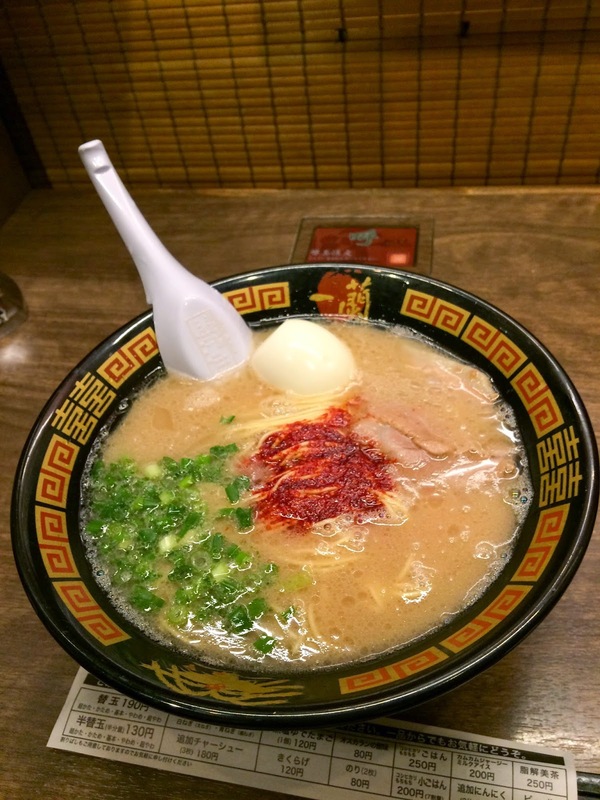 Before you know it, you’ll be slurping some of the best ramen you will eat. Yes. No brainer. I hope they open Ichiran Ramen in Sydney someday. QOTD: What’s your favourite ramen restaurant? Let me know in the comments below!